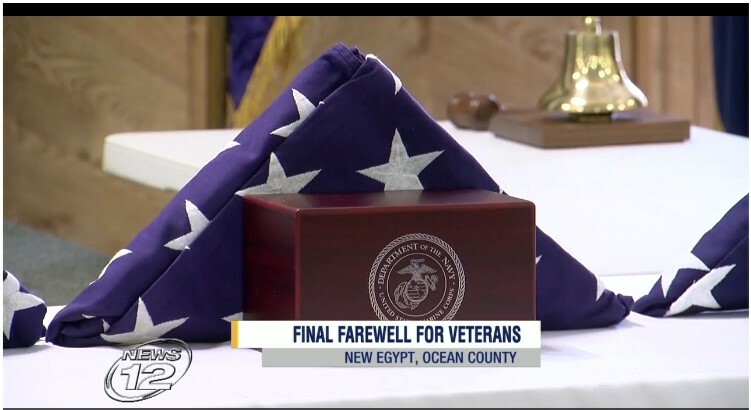 NEW EGYPT - Hundreds of people gathered in Ocean County Thursday for a funeral service held for nine military veterans whose ashes were never claimed. Volunteers with New Jersey's Mission of Honor work with funeral directors to find veterans whose ashes were never claimed by family members. Those veterans are then given a full military funeral at the Elks Lodge in New Egypt. "Unfortunately their family hasn't claimed them so we become their families and give them their final resting place,” says John Koczon with the Brick American Legion Riders. Some of the ashes sat unclaimed for up to 40 years. Among the veterans honored were World War II and Korean War veterans who served in the Army, Marines, Air Force and Coast Guard. They were given a 21-gun salute and “Taps” was played. “If it was me, I would want someone to respect me the way we respect these veterans. It's only right for what they've sacrificed,” says Barbara DeAngelo, a veteran from Brick. The ashes will be taken to the Veterans Memorial Cemetery in Wrightstown. Since it was founded, New Jersey's Mission of Honor has found the ashes of 470 veterans. A little more than half of them have been reunited with family members.